Hindustan Zinc Limited is committed to the principles of harmonious and sustainable development; protecting human life, health and environment, ensuring social well-being and adding value to the communities. We respect human dignity and believe in inclusive and equitable growth and improvement in quality of life and that lies at the core of our business philosophy and business operations. HZL’s focus areas for community development projects will be the States in which it has operations. The Company may also periodically take up programs of national importance outside its core States. 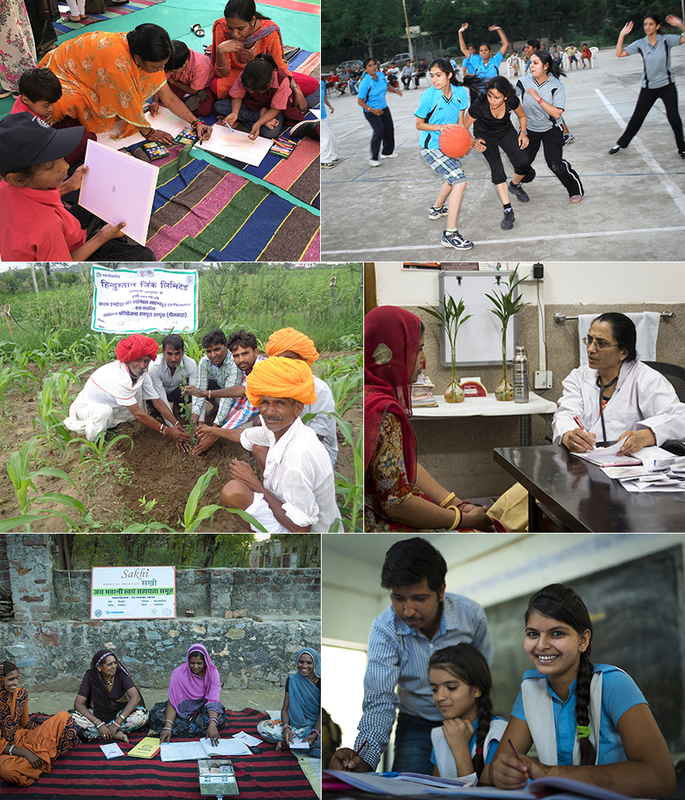 HZL’s CSR will focus on Education; Sustainable Livelihoods; Women’s Empowerment; Health, Water & Sanitation; Sports & Culture; Environment; and Community Development including Community Assets Creation. The initiatives are targeted to improve the quality of life of communities and such as are best suited for company-community collaboration for long term outcomes and impacts. HZL will proactively seek to encourage and involve its own employees in community initiatives. HZL shall consider 3 implementation models for delivering its CSR programs. Through forming partnerships with third parties such as civil society/NGOs and. community groups. In House implementation by HZL – including design and delivery of the project. The preferred route for implementation will be through partnerships – with civil society organizations, government and others. HZL may also consider participation in larger projects/programs where more than one Corporate / National/ Multi-lateral/ International agencies is involved. HZL will have a multi- tiered governance mechanism. Implementation Monitoring Committee (IMC) which will meet once every month to approve specific projects, partners and budgets; monitor audit reports and its compliances; review CSR program process and outcomes. HZL Executive Committee (ExCo) which will approve annual CSR plans & budget, and review the progress of the programs once every quarter. HZL CSR Board Sub Committee, which will meet twice a year to approve the annual CSR plan/budget, ensure CSR activities being undertaken are as per the Board policy and review the progress of the projects. All CSR activities and expenses made thereon will be subject to an audit by auditor appointed by IMC. CSR programs governance and quality will be monitored and reviewed as per set protocols. A third party will do a baseline survey and impact assessment of CSR programs every three years. The surplus arising out of CSR projects or programs or activities shall not form part of business profits. The CSR activities are as per Annexure I or any other activity specified in Schedule VII of the Companies Act. This CSR policy document will be reviewed from time to time and any changes, if necessary, will be approved by the CSR Board Sub Committee.